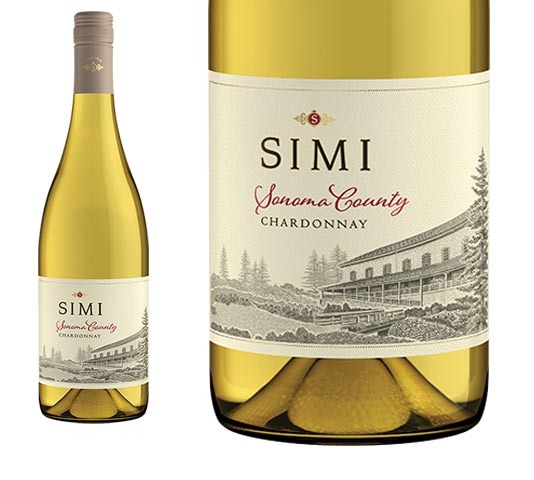 Simi Sonoma County Chardonnay, a complex wine full of citrus and vanilla flavors, is an exceptional value, even if it’s priced slightly out of the $10 range. For 142 years, Simi has been making high-quality wines at approachable prices, and for most of its operation, women have been in charge. The winery was founded in San Francisco in 1876, by two brothers from Tuscany, Italy, who came to California to find gold. That effort didn’t go too well, so they turned to what they knew best, making wine. The brothers, Giuseppe and Pietro Simi, used Sonoma County grapes for their wine and did pretty well for themselves. Five years later, they moved their production facility to Sonoma, and by 1890, they had built a new winery, originally named Montepulciano Winery, in the then-tiny town of Healdsburg. The present day Simi Winery is still located on the site and the original stone cellars are still in use. Business boomed, and the brothers prospered. They expanded the cellars in 1904. Everything was going well that year, until they got the flu; both died within a few weeks of each other. That’s when Giuseppe’s 18-year-old daughter, Isabelle, took over the business, the company’s website says. When she started in 1904, Isabelle had a degree from Santa Rosa Business College and was the reigning queen of the Healdsburg Floral Festival. She couldn’t vote, but she was a sharp businesswoman and a force to be reckoned with, according to a 2011 article in The San Jose Mercury News. Isabelle Simi, who died in 1981 at 95, was a pioneer in the California wine business who led the industry into the modern era with technical innovation, savvy marketing and shrewd management. Her first order of business was to reinforce the cellars with steel to protect the wines from possible earthquake damage. Two years later, the 1906 quake devastated San Francisco and Sonoma, but Simi winery survived unharmed because of the steel supports, a 2014 article in Wine Enthusiast Magazine says. Not long after taking over, the determined Isabelle Simi became the country’s first wine salesperson, traveling coast to coast, meeting with distributors, promoting the family’s wines and signing contracts. To survive Prohibition, she sold off the winery’s vineyards but was able to continue storing wine. Of the 256 wineries in Sonoma before the 1920 law went into effect, only 50 survived until the 1933 repeal. Simi was prepared for the lifting of the law, and immediately released 500,000 cases of well-cellared wine to waiting customers. The next year, she opened the nation’s first wine-tasting room, a converted 25,000-gallon cask that she had rolled out of the winery and turned on its side. It provided a welcoming place for such customers as film director Alfred Hitchcock to have a glass of wine in comfort. “Isabelle was very welcoming and hospitable, but could be positively cantankerous. You didn’t mess with Isabelle. She’d be cleaning the sidewalk outside of the vineyard, and if you got in her way, she’d hit you with the broom,” Simi’s director of winemaking Susan Lueker said in the Wine Enthusiast article. In 1973, Maryann Graf, the first woman to graduate from an American university with a degree in oenology, became the winemaker. In 1979, Zelma Long, the second woman oenology graduate, took over as winemaker. Under her supervision, the winery bought vineyards, modernized and ascended to national prominence. In 1990, Long became the first woman to lead a winery as president and CEO of Simi. Long is legendary and has served as a mentor and inspiration for women in the wine industry, many of whom have gone on to leadership roles. Simi Sonoma County Chardonnay, along with all Simi wines, is produced by Lueker and winemaker Lisa Evich. The Chardonnay is made from 100 percent Chardonnay grapes. Four different vineyards in Sonoma County provide equal portions of grapes, with each adding individual qualities to the wine, the winemakers’ notes say. The wine is a bright, golden straw color with aromas of green apples and orange blossoms. The zesty, fresh flavors of tangerine, lemon curd and white peach come together with a finish of vanilla and orange peel, the notes say. Simi Chardonnay is a wine that tastes far better than its price. It often goes on sale for as little as $12, and if you find it for that, I recommend buying a lot. It will age from five to seven years, and you will have it on hand for special occasions.